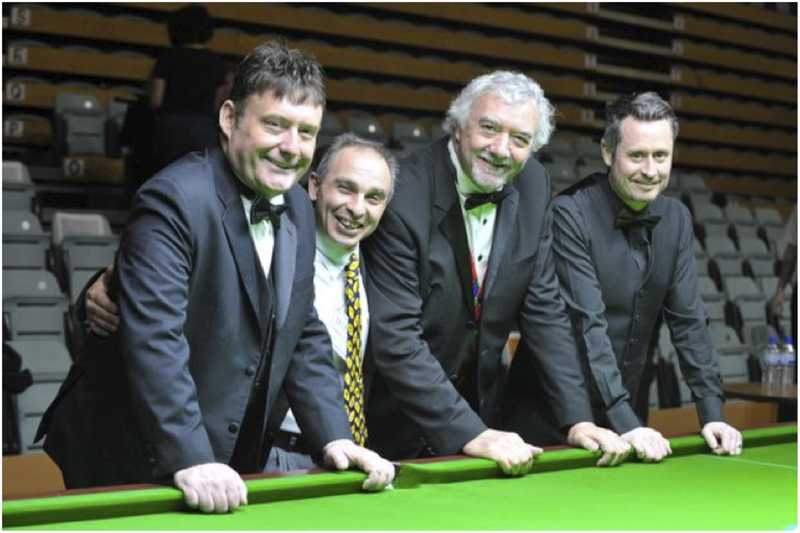 Snooker personalities Jimmy White, John Virgo and Alfie Burden starred in an event to raise vital funds for a HOPE school in Kathmandu, Nepal. Hope Worldwide UK hosted the evening of entertainment at Guildford Spectrum on Monday 23rd March. The evening kicked off with some trick shots by John Virgo, the former co-presenter of snooker-based TV game show Big Break with Jim Davidson. Molesey Refrigeration center in east Molesey who sponsored £500.00 pounds and their Miele centre which gave away a cat and Dog Miele vacuum cleaner as a free prize draw. Dean Ralphson, the manager of Molesey Refrigeration. Rubik Ghalustians, the director of Rugal Repairs and Sales Ltd in west Molesey who organised the whole event. This entry was posted in Funding, International, Uncategorized. Bookmark the permalink.